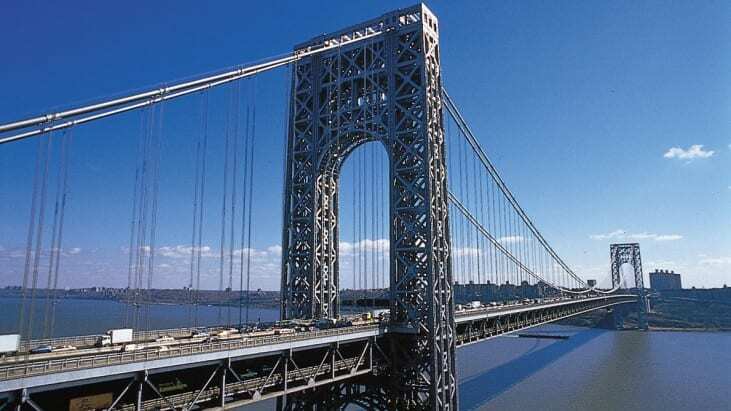 Entwined in the many conspiracy theories that state 9/11 was something other than what we were told, there is a story about 5 Israeli men that were arrested on the George Washington Bridge, who had a van full of explosives and were going to detonate it. Admittedly, this story by Rather did not label them as “Israeli,” but many “conspiracy theories” linked these men to Israeli intelligence known as Mossad. None of these claims really had much evidence, and the tie in was linked largely to conspiracy sites and those attempting to advanced the 9/11 “inside job” conspiracy. It is interesting to note, that shortly after many of the stories appeared about these men on the bridge — no follow up reports were ever made. What does this prove? Many claim that allegedly, Israel (an ally of the United States) had foreknowledge of the attack, and may have even played a role in the events. The public story we were told, which led to the invasion of Iraq and Afghanistan, was that it was Al-Qaeda. Of course, this all would contradict that narrative. This story also relates to what has been dubbed the “Five Dancing Israelis” who were found to be videotaping the aftermath of the attack on 9/11, and were shouting joyous praises and dancing in the streets, but that story is also highly controversial on whether or not it ever occurred. 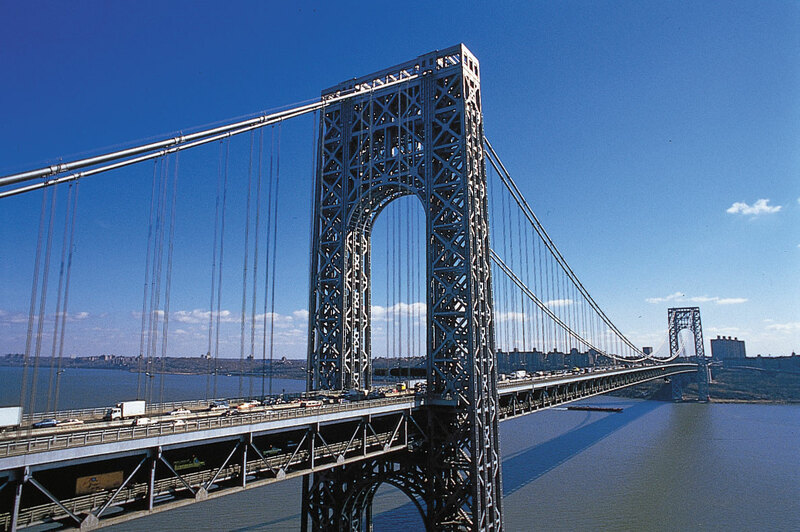 I filed a FOIA request to multiple agencies regarding the above, to see if they may have anything specifically on the explosive found on the George Washington Bridge. To be blatantly honest, I did not expect to find much about this, at all. Most agencies denied that documents existed, but the NSA produced a very interesting result. Below, you will find the results. FBI Response – No Records October 2014 [ 2 Pages, 0.3MB ] – The FBI claims that they have no records pertaining to this incident. NSA Response – Glomar Response November 2014 [ 2 Pages, 0.2MB ] – In a bit of a surprise, the NSA gave GLOMAR response to this request, meaning, they will neither confirm nor deny anything exists. Having so much time pass after this alleged incident, and the fact that it apparently didn’t happen, wouldn’t they just say they had “No Records”? Shortly after receiving this response, I filed a FOIA request for all case processing notes, emails, and other documents generated during the processing of this request. The NSA has released many times in the past, these notes and messages that give an inside look at the process of filing FOIAs. It shows how the FOIA request progressed, and sometimes, offers insight to how the final decision was reached. Frequently, there are redactions, primarily due to FOIA exemption (b)(5), which deals with the “deliberative process” of how agencies work/make decisions. It is noted, that (b)(5) is the most controversial FOIA exemption, because it is widely used and overly broad. That said, the response came in for these notes on my FOIA request, and 100% were denied as being classified TOP SECRET. This was a VERY strange result, as I have yet to find a request for case processing notes, on a FOIA request that received a “GLOMAR” response, that were 100% considered TOP SECRET. I waited a few years, and filed again on March 30, 2018. In short, after a two year period, documents can then be requested to be reviewed again (either by a FOIA or an MDR, which is a lengthy explanation in itself). In this particular case, I filed a FOIA (and not an MDR) because the NSA would not even acknowledge documents existed, so I did not feel my MDR would have any positive results, since I couldn’t cite any documents for review. Sure enough, I received another GLOMAR response to my 2018 request, and everything could neither be confirmed nor denied. I appealed on May 2, 2018, and by June 1, 2018, less than a month, the NSA denied my appeal. However, the story got even more strange. They split my appeal into two parts in order to respond properly. The first, was the documents I was requesting regarding the unidentified men on the bridge. They said they supported and agreed with the GLOMAR response, and that was it. The second part of my request was for the FOIA Case Files / Processing Notes that I asked for that were classified TOP SECRET. They retracted the claim they were classified TOP SECRET, but then still exempted them 100% under FOIA exemptions (b)(3) and (b)(5). So, therefore, they changed the reason for their answer, but their answer was the same none-the-less. In short, what I was saying, was that if they will “neither confirm nor deny” records exist, but then classify my FOIA Case Processing notes as TOP SECRET across the board, there is something there. I believe this part of my appeal may have influenced the NSA to say they were “incorrect” in that assessment, but then gave other reasons for a denial which would not allow me to draw that same conclusion. Was this truly a mistake? Or is this an attempt to cover-up the fact that I pieced together the evidence to prove documents exist in a case where they did not want to admit to that? ODNI Response – No Records November 2014 [ 2 Pages, 0.3MB ] – The ODNI claims that they have no records pertaining to this incident.